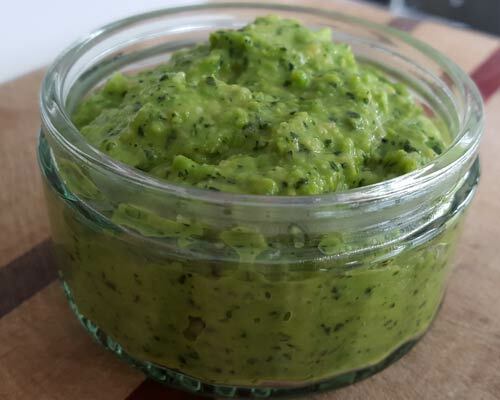 The pea and mint pesto is really quick to prepare and is packed full of flavour. 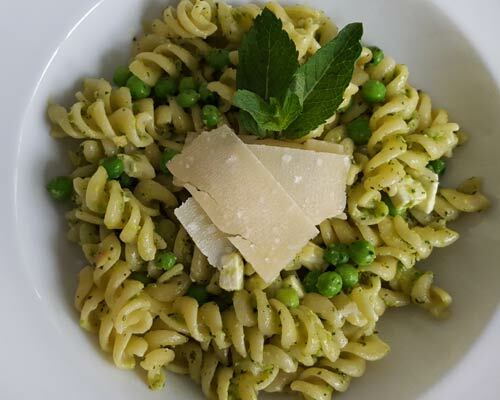 Combine with some fresh pasta (we used fusilli) and you get a simple, quick and yummy dish! 50ml olive oil. We used Antonio’s olio nuovo because we love the fresh, robust flavour of it. Put the frozen peas in a pan, pour over boiling water and bring back to the boil. As soon as the water is boiling again, strain immediately, allow to cool and then use. Put all the ingredients in a food mixer and whizz! Simples. We use quite a lot of mint because we like it minty but you can play around with the proportions. We try to keep the amount of nuts and cheese down for health/diet reasons and because we think it gives a fresher flavour. You can also mix it up with the type of nuts you use. Pine nuts are more traditional than almonds but we like almonds so used them! Cook the pasta in boiling water for 8-10 minutes. Put the frozen peas in a pan, pour over boiling water and bring back to the boil. As soon as the water is boiling again, strain immediately. 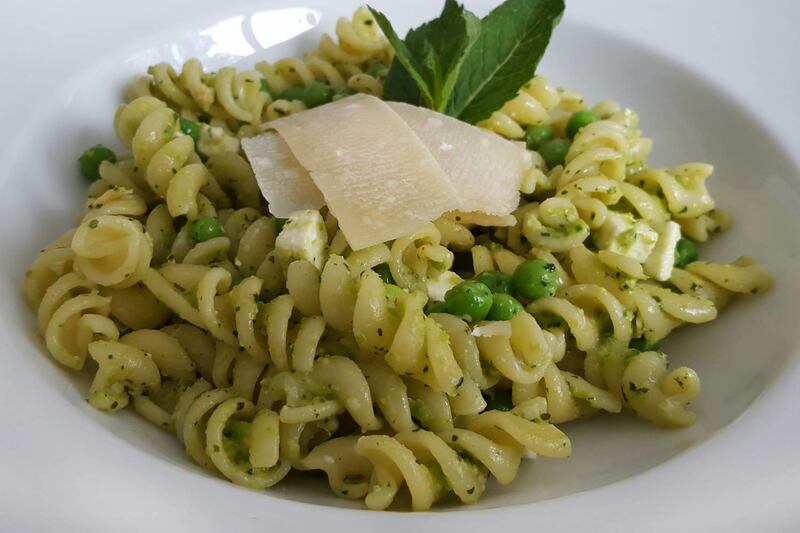 Mix the pasta, cooked peas, feta cheese and pesto together ensuring the pesto coats all the ingredients and serve. Our goal is to create a community of food lovers and food producers who share an ethical vision. People who care about high quality, wholesome foods; people who care about mother earth and treating her with respect.